I am looking for tutorial series or book of creating dialog in resource section. how do i create dialog box ? 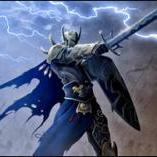 I am reverse engineering using resource hacker. I found the program i am reversing has dialog box item. what is the raw resource source code of the following dialog -reference attached image? That is the "raw resource source code" for a dialog with a title "Comodo Client - Security" which has three controls. 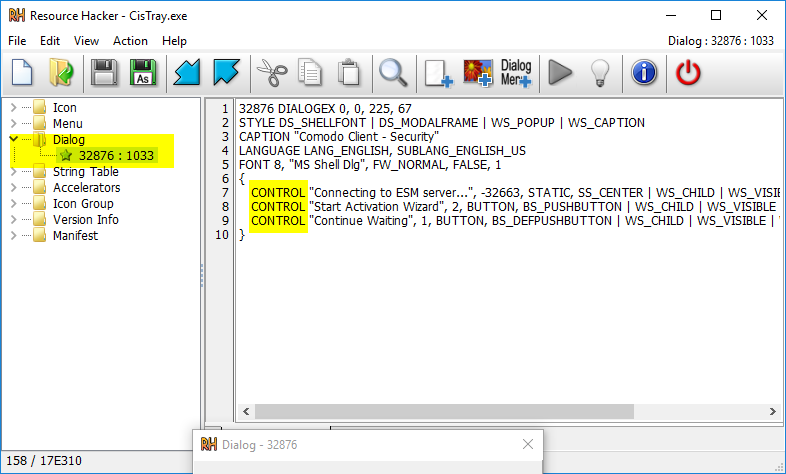 The dialog would be compiled from a resource script file (*.rc) to a resource file (*.res) and linked into the exe. The res file is equivalent of and obj file. The resource compiler (rc.exe) found in visual studio packages (and others sources) is what compiles the resource script. Visual studio has a builtin resource editor to be able to create dialogs with controls on them. question : how do i add resource ? is using add resource using visual studio ? Add resource using a resource editor, the one in visual studio would work as will the others I mentioned above.